As usual with tree pruning it is easy to get sidetracked. Although I was planning to tackle marriages first, I found it easier to jump into tidying up death records. Of course, any death record requires further analysis and so losing focus is par for the course. Not bad for a weekend’s effort, but still a long way to go with the pruning. 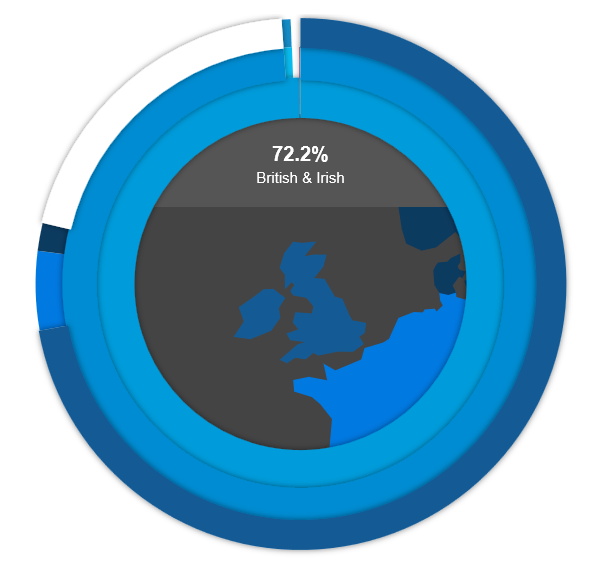 I realised that I have been losing some ancestors from all profiles when importing gedcoms to Genome Mate Pro. This is due to inconsistencies in my registration of marriage records in the tree. I am now planning to review direct line marriages this weekend to resolve this issue. Looking at the statistics for my tree on Ancestry today I noticed it is time for a review and update of death records. I have a number of people still showing as living who are unlikely to still be with us. I am going to start by reviewing all of those who would now be centenarians if they are still living, then perhaps cover all of those born before 1920. 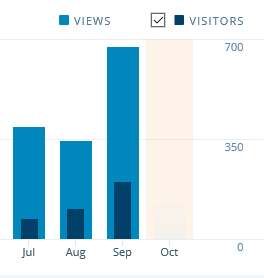 September is over and I have just had a quick review of my blog statistics for the past three months. Interest seems to be growing and I expect my September viewings would have been even better if I had continued to post daily for the whole month. The little lapse in posting for the last week is because I was too busy giving a living introduction to our family history to two cousins from the other side of the world who were visiting Northumberland for the first time. We had a whirlwind tour that included Warkworth, Radcliffe, Amble, Hauxley, Alnwick and Alnmouth. I am contemplating adding a new page to cover that visit after I catch up on the work backlog from taking a short break. Managed to tidy up a few branches on the family tree at the same time thanks to their input. You can access them from the link in this post or from the menu line of Digging up the Ancients. 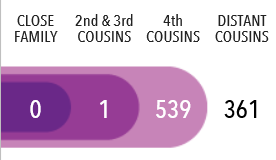 I was thrilled to receive my relative match list today from the 23andme autosomal test which I took during my summer holidays. 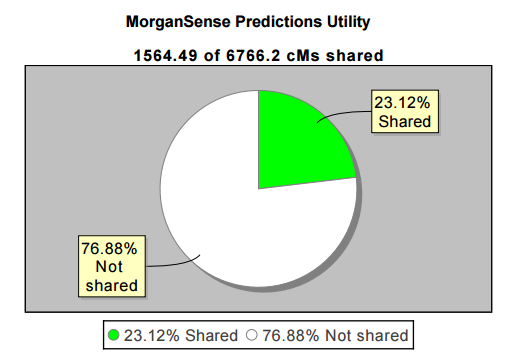 Now I just need to find time to figure out what to do with the results and who I would like to try to contact. I started to kick myself into daily posting again after my summer holidays. 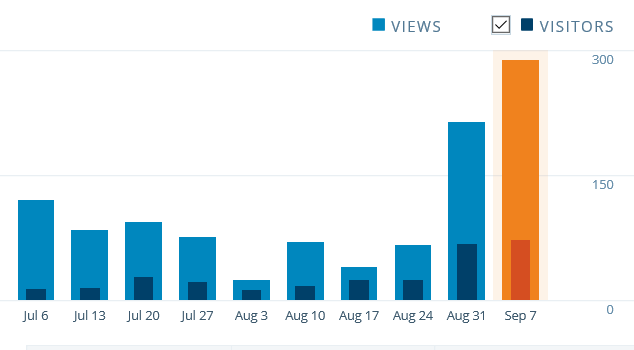 It has been interesting to see the effect that my increased writing activity has had on my readers. A big thanks to all of you who follow my posts. I hope you find something of interest as you browse through my meandering thoughts and random ramblings. I have lots more floating around in my head that I plan to publish. Just need to structure my ideas, pick out photos and “put pen to paper” or hit the appropriate keys on the keyboard.